You and your best friend have been through it all and, well, that’s why they’re your total BFF. Shop some cool shirts for best friends only they would appreciate. What can you really say about your best friend that hasn’t already been said or, you know, the courts will allow you to say publicly? They’ve been there for the good times and the bad times. They’ve most likely bailed you out of jail once or twice. They know your deepest darkest secrets and they still want to be friends with you. Plus, it’s really like you two are the only normal ones and everyone else is just, well, crazy. Am I right? There are a ton of really cool shirts for BFFs out there and we combed through the depth of the internet to find the ones we think you’ll love the best. From funny to punny and everything in between (including matching best friend shirts!) check out some great ideas for best friend shirts (so far) in 2019. Because you both go together like pizza and fries, meaning, always perfect and always right! Because sometimes you and your BFF intentionally want to match. Get the above t-shirts to match your friend. 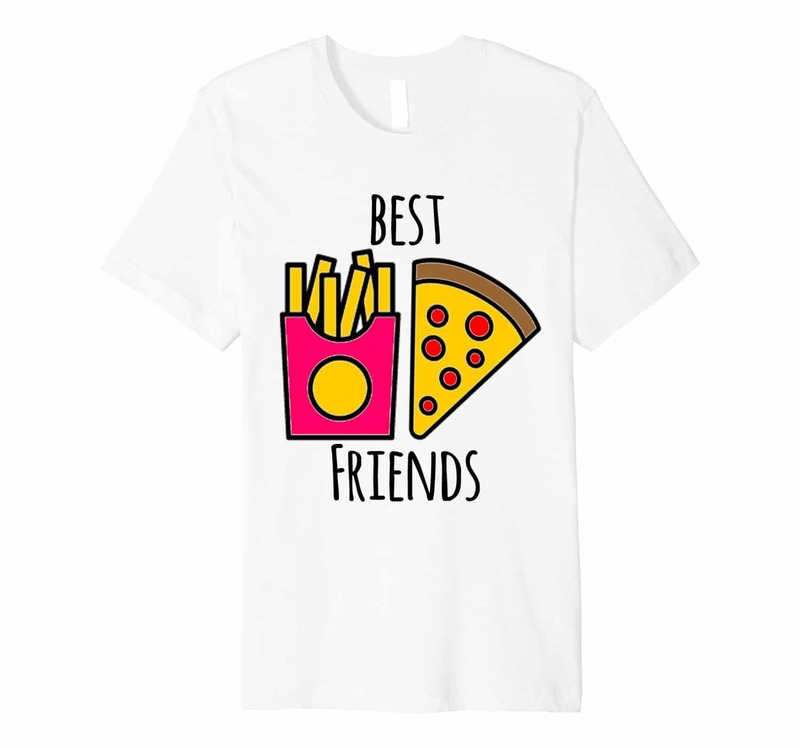 Feel free to fight over who gets to be the French fries and who gets to be the pizza slice. We’d be pizza all day. Because they love puns just as much as you do. Because in a world of fake news the one true thing you can count on is your real friend. Because you’ll point to them if they’ll point to you. I mean, they better point to you! Because they really are the other half of your heart. Each of you can get the one shirt that completes the other! Because you both also like lame jokes and lame shirts. We just happen to think this lame shirt is actually the best. Because you may be the tall friend or the short friend. Match ’em and go! Because truer BFF words have never been spoken!